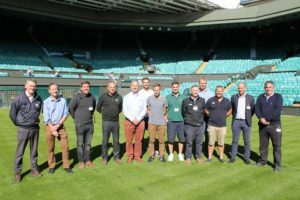 Limagrain UK recently hosted an event at the All England Lawn Tennis Club, Wimbledon, in which a number of independent school groundsmen were treated to an exclusive behind-the-scenes look at one of the most famous sporting venues in the world. The access-all-areas tour was conducted by Neil Stubley (head of courts & horticulture) and Grant Cantin (head groundsman), in which the attendees were taken to the exclusive players-only area, the media centre and the legendary centre court. Delegates also got to see first-hand some of the exciting developments which are currently underway. The club is now in its final year of the Court 1 retractable roof project and is set to be completed in time for 2019 Championships. Other works include a new office building for staff, a complete refurbishment of the player dressing rooms and a brand new members’ brasserie – which will no doubt provide yet another world-class dining establishment. The tour offered a fabulous insight into the meticulous planning that is required to successfully host the greatest tennis championships in the world. 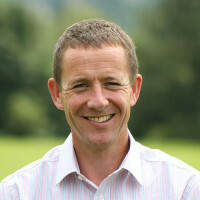 Grant revealed that while they face many sleepless nights during the Championships, there is still no let off when the games come to a close. Limagrain UK host independent school event at AELTC. “We have been using Limagrain seed for quite a long time now and we are very happy with the product. The mixture is very similar to MM50 with two of the three cultivars being the same. The STRI actually do all of the research for us and they, along with Limagrain, recommend which cultivars to use. 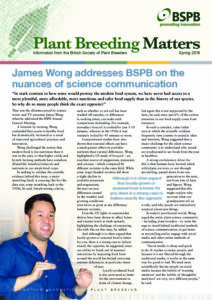 “Every year we are confident that the seed is the very best it can be and the results are great,” he said. After a complimentary lunch, and as the event came to a close, attendees were left reflecting on the revealing tour and James Pope, grounds manager at St Paul’s School, was certainly pleased to be a part of it. “This place is just unbelievable and I didn’t realise how much of a big scale they are working on every day. The standards that they work to when the courts are closed is incredible; everything is just immaculate all the way through to the pathways, gardens, courts and renovations. Then there is the preparation that goes into the tournaments – I’ve never seen anything like it.